Towing capacity is subject to towbar/towball capacity. The capacity may be reduced if a non-genuine Nissan towbar is fitted. The bold exterior design, sleek aerodynamic shapes and distinctive LED lighting signatures of the all-new Navara produce a striking visual impression, raising the bar for style in the pick-up segment. 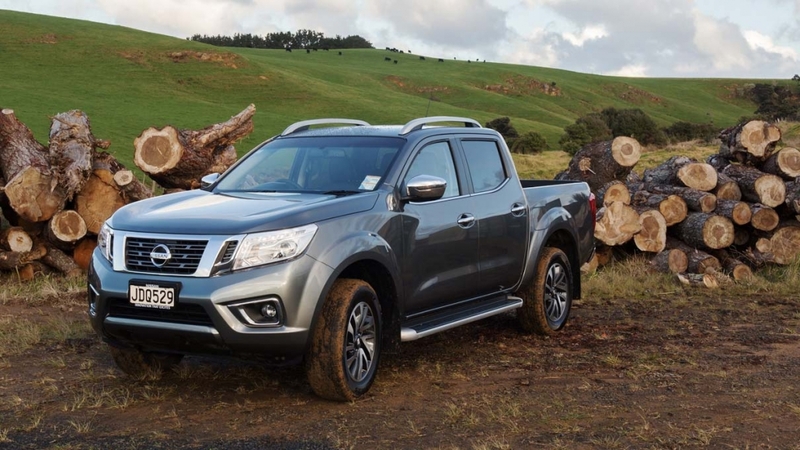 The all-new Navara is engineered to handle tough jobs, with a class-leading towing capacity of 3.5 tonnes and a payload of over one tonne. Securing your cargo is easy too, thanks to Nissan’s innovative C-channel tie-down system. 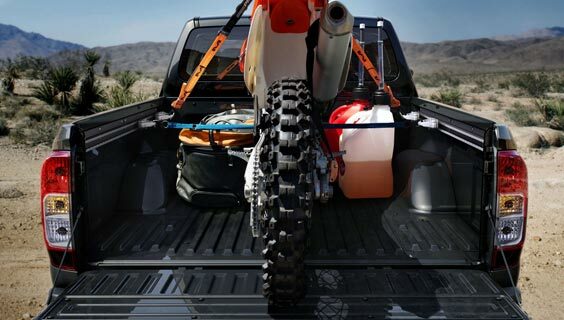 Movable cleats can be locked in special tracks on the sides and front of the pick-up bed, so you can safely secure any load, of any shape or size. 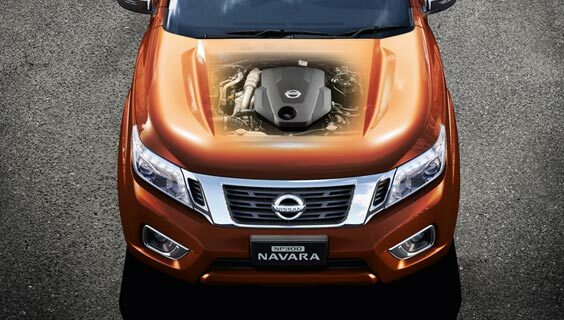 Whether it’s in the depths of the countryside or the concrete jungle, the all-new Navara 4×4 is always in its element. There are three driving modes – four-wheel drive high for light off-roading, four-wheel drive low for serious off-road driving in sand, snow or deep mud, or two-wheel drive for when you’re on tarmac. 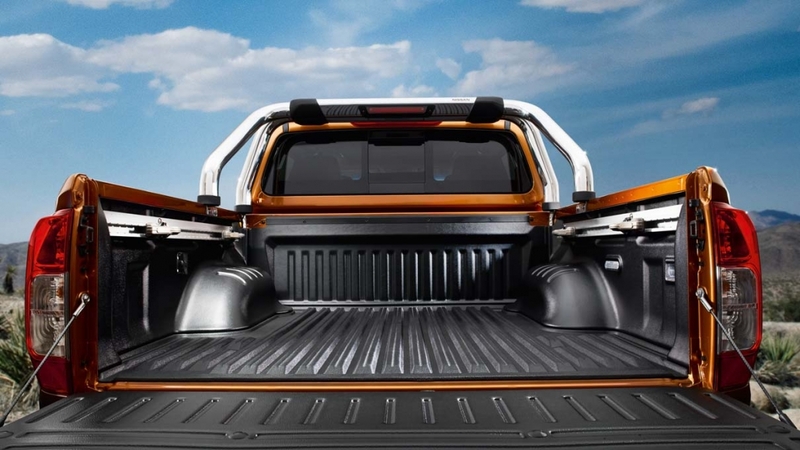 With its fully-boxed ladder chassis, the all-new Navara is one of the toughest vehicles Nissan has ever built. That means it can take even the most intense punishment day-in, day-out. 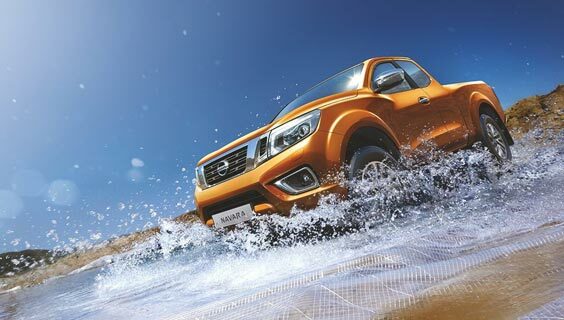 The Nissan Navara’s suspension articulation makes light work of terrain with a lateral tilt of as much as 31°. Even better, vulnerable components are tucked above the frame for increased ground clearance, so rocky terrain is as easy to deal with as a gravel drive. 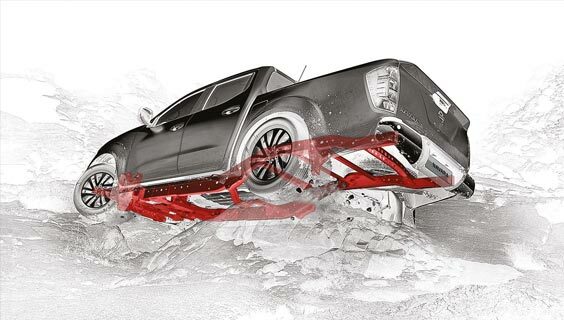 The Navara’s fully-boxed ladder frame is made with rugged, high-tensile strength steel for improved structural rigidity and more torsional stiffness, delivering impressive performance on-road or off-road. ^^ST-X models only. Driver’s aid only and should not be used as a substitute for safe driving practices. Always monitor your surroundings when driving. The ST and ST-X variants are powered by an advanced 140kW twin-turbo diesel engine. 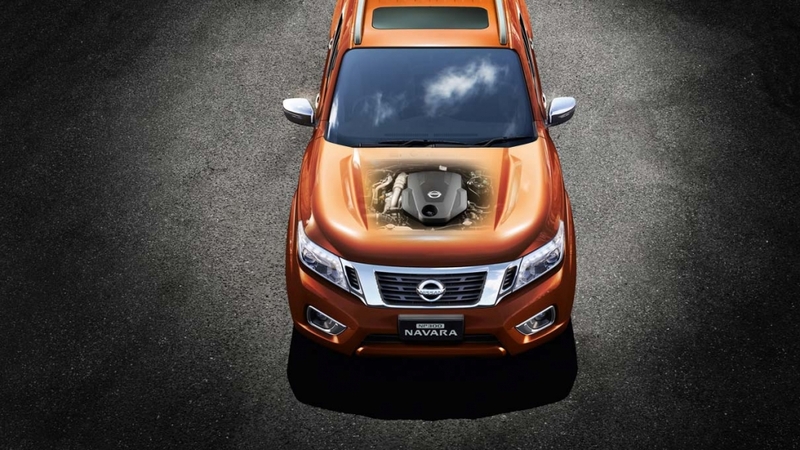 The twin-turbo diesel engine comes with one low pressure and one high-pressure turbo charger. 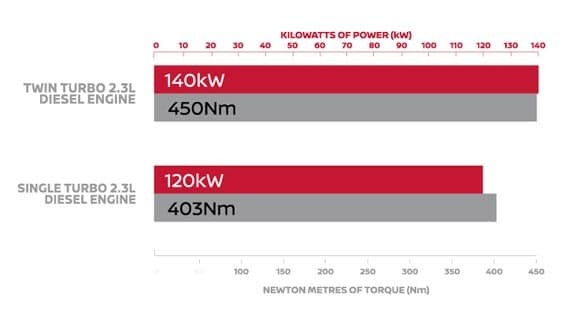 Set in a series, they work together to give you seamless power and torque delivery, offering the maximum 450Nm of torque from as low as 1500-2500rpm. So when you are stopped at traffic lights or towing a heavy load, on acceleration you can really feel that torque instantaneously. The high-pressure turbocharger is located right at the Exhaust Manifold. It has a small turbine that is able to respond rapidly at low RPM. 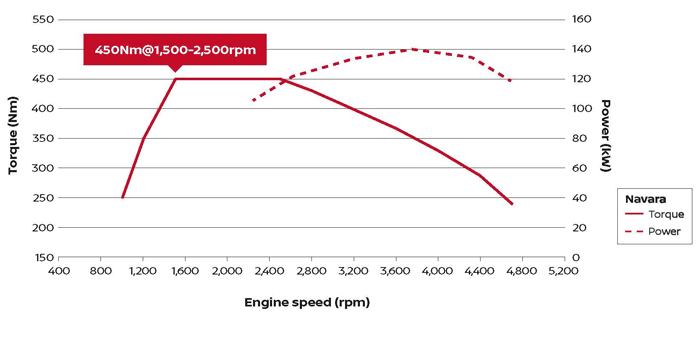 With all bypass valves closed, low speed torque is increased and maximum exhaust gas recirculation takes place. A smaller turbo will “spool up” quickly at lower speeds, but will not be able to supply sufficient air at higher speeds. This is where the low pressure turbocharger kicks in. 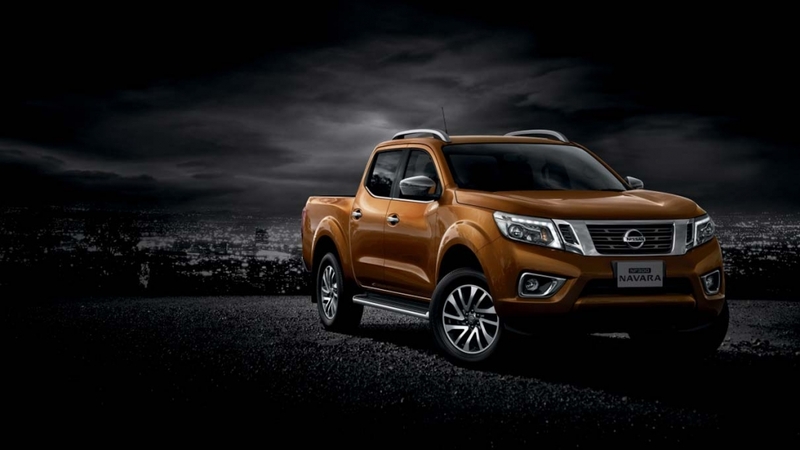 The all-new Navara pick-up truck offers a choice of two advanced transmissions – either a 6-speed manual or a 7-speed automatic. 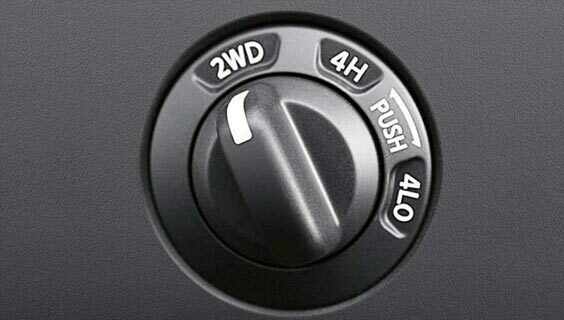 With the 7-speed automatic transmission, you’ll enjoy efficient cruising and greater control. Alternatively, use the manual mode to select and hold the right gear, for ultimate pulling power or whenever there’s a hill to conquer. 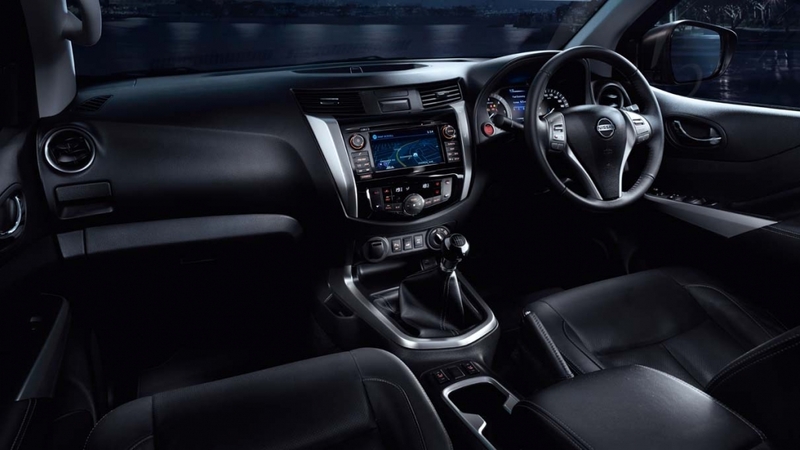 For drivers who prefer to change gear themselves, the all-new Navara is available with a smooth 6-speed manual transmission. It features a low first gear for maximum bottom-end torque, while a high final-drive ratio ensures you’ll get great fuel efficiency on the open road. 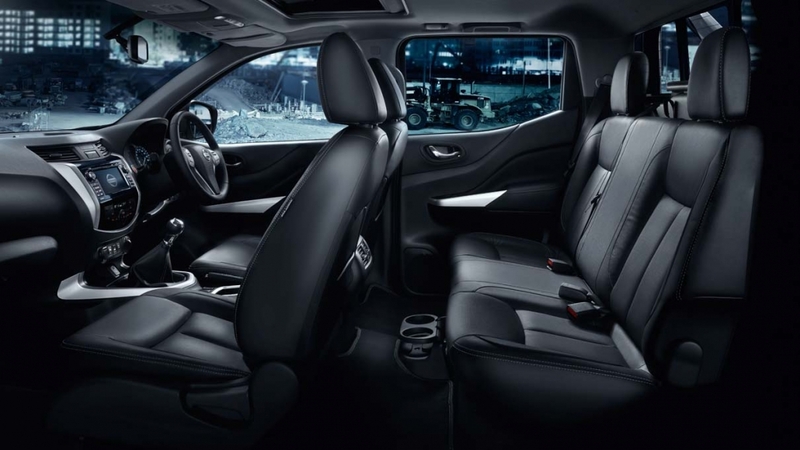 The Nissan Navara also has a host of safety features standard across the range: 7 airbags including driver knee airbag, Vehicle Dynamic Control (VDC), Traction Control System (TCS), Anti-lock Braking System (ABS), Electronic Brakeforce Distribution (EBD) and Brake Assist (BA).